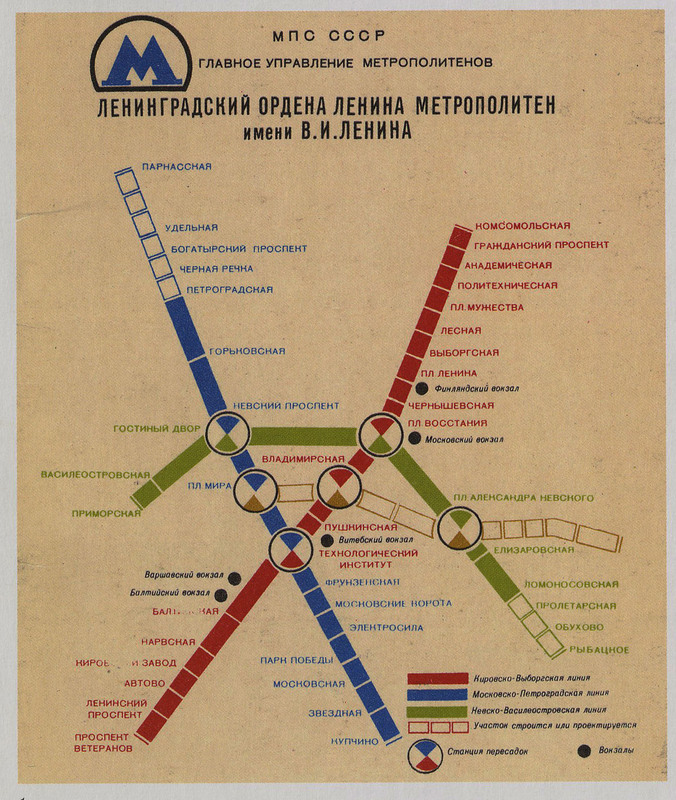 The Ball State University Libraries’ GIS Research and Map Collection (GRMC) includes over 140,000 maps, over 3,000 atlases from around the world, and other cartographic resources available for research and learning. 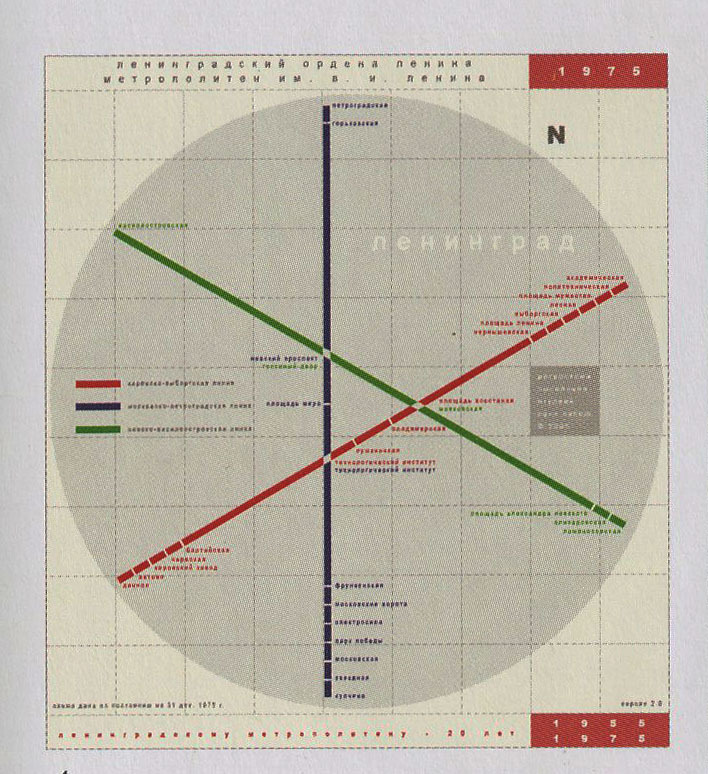 One of the unique cartographic resources is the is the book, Transit Maps of the World, by Mark Ovenden. 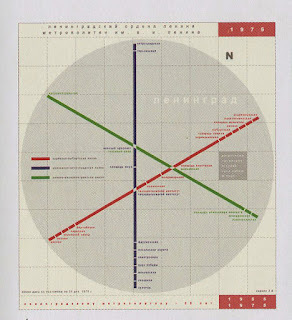 The book was published in 2003 and includes public transit maps from 97 cities around the world. 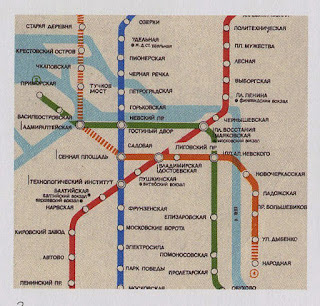 “This book celebrates the diversity of rail-based transit systems in urban environments by collecting…their cartographic evolution.” One of the transit systems included in the book is the St. Petersburg Metro. According to the book, in 2003 St. Petersburg had an urban population of 4.7 million people. The length of the route is 64.7 miles. 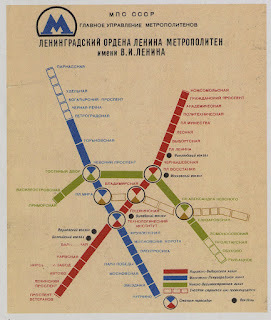 There are 54 stations, and the first section was opened in 1955. 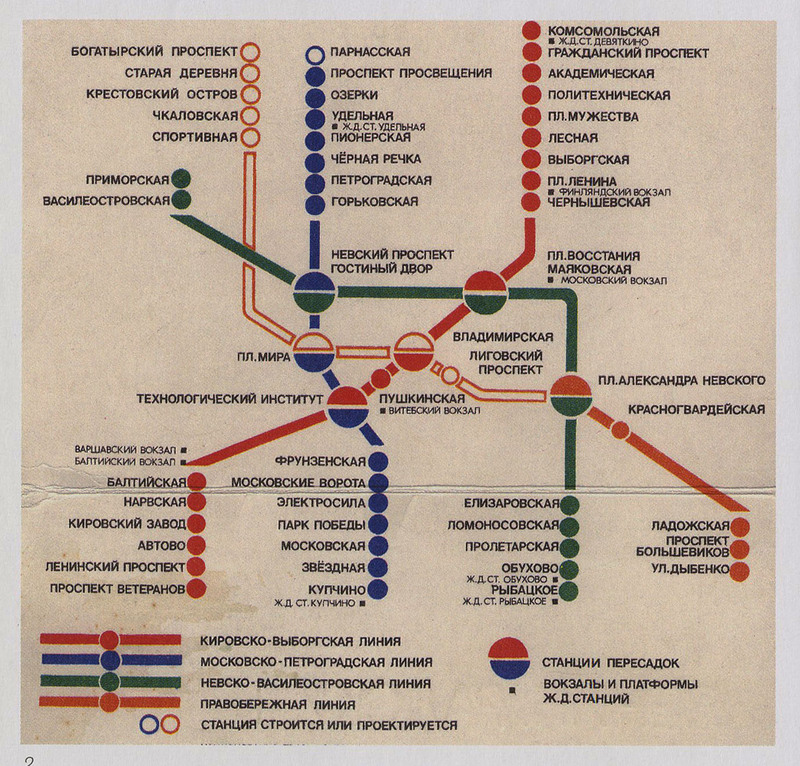 Nearly 58% of the system is underground. The Metro claims some of the world’s longest escalators due to the depth of the tunnels. 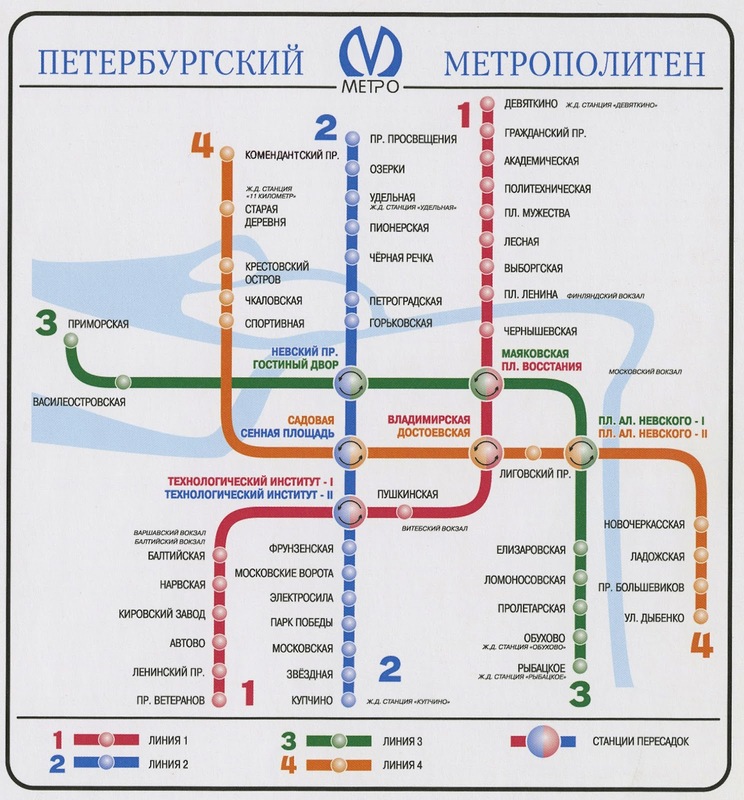 “Lines 1 to 3 were mostly completed by the early 1970’s, as seen on a commemorative poster from 1975 (4, above—click to enlarge). 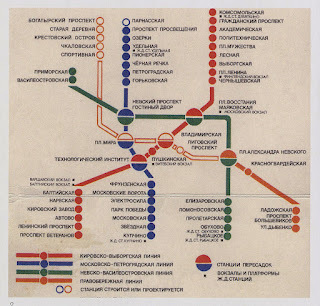 There were a few extensions afterward (1), but the first part of the orange Line 4 only opened in 1985 (2) and was extended at either end in the 1990’s (3), when signs of the current diagram can be detected. 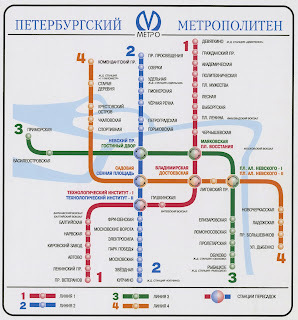 The current diagram shows the popular “M” logo that can be seen all over the city (5). For more information about using cartographic resources for research and learning, please contact the GRMC at 765-285-1097.